Drop Feed, Large Hook, Differential Structure, Multi Points Zig Zag Stitches, 1-Step 2-Points, 2-Step 3-Points, 3-Step 4 Points, Large Hook, Automatic Lubrication, ZigZag Width up to 13mm. 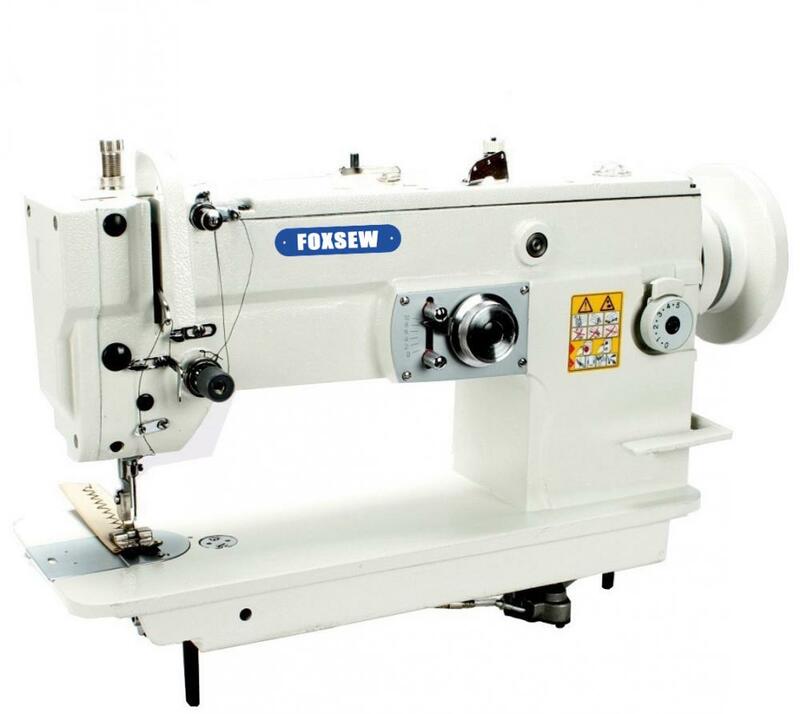 FOXSEW Drop Feed Zigzag Sewing Machine with Large Hook and Differential Structure adopts double presser foot, makes the stitches neatly and beautifully, by adopting of large hook, reduced the bottom thread replacements cycles, greatly improving the sewing and working efficiency. Optional 2-steps and 3-steps zigzag stitches can enhance the sewing firmness. Low noise and vibration, easy to operate, automatic oil lubrication system, new designs with differential feed structure, large hook timing of each zigzag stitch, make the stitch more neatly and beautiful. can be equipped with tape binder and edge trimmer. Maximum Zigzag width up to 13mm. Looking for ideal Flat Bed Drop Feed Heavy Duty ZigZag Sewing Machine Large Hook Manufacturer & supplier ? We have a wide selection at great prices to help you get creative. All the Jeans Sewing Machine are quality guaranteed. We are China Origin Factory of Leather Bags Sewing Machine. If you have any question, please feel free to contact us.